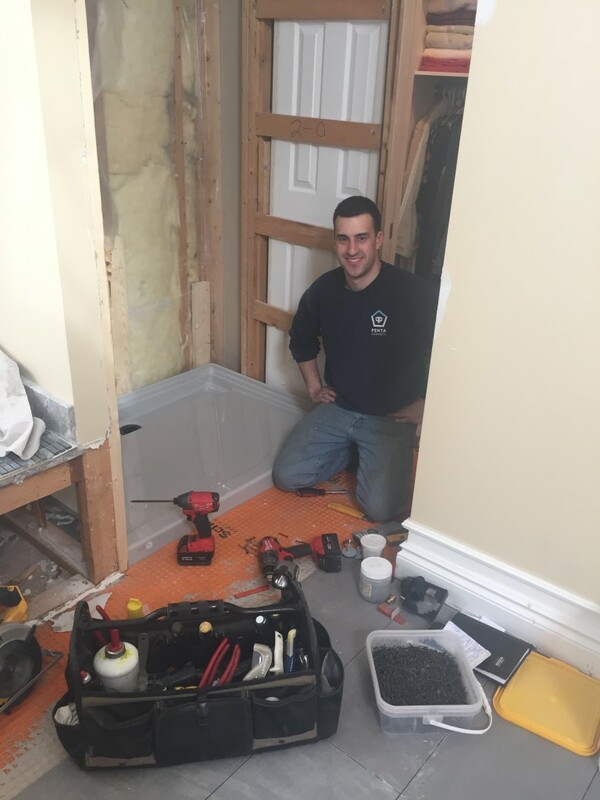 We’re kicking off Donna and Raymond’s bathroom renovation in Nepean. 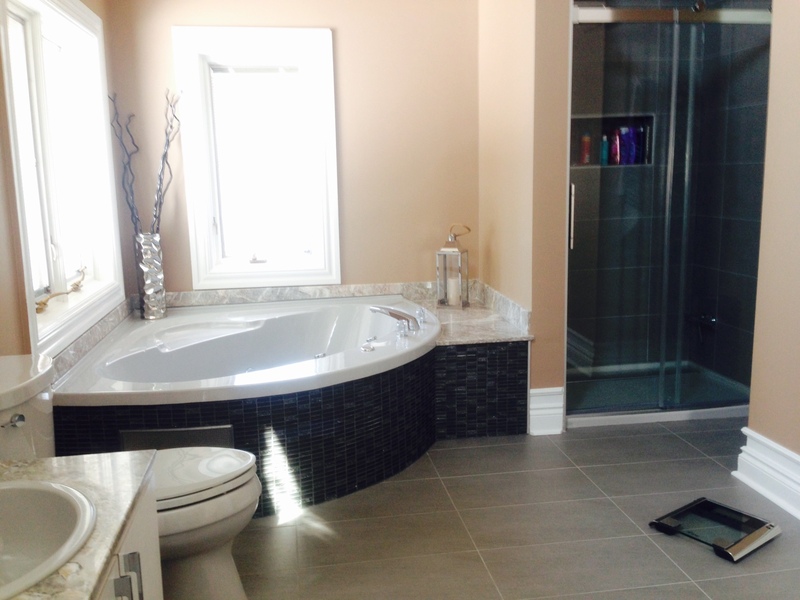 Their bathroom is already fantastic with the soaker tub (which is staying) and loads of light. The room just needs updating. 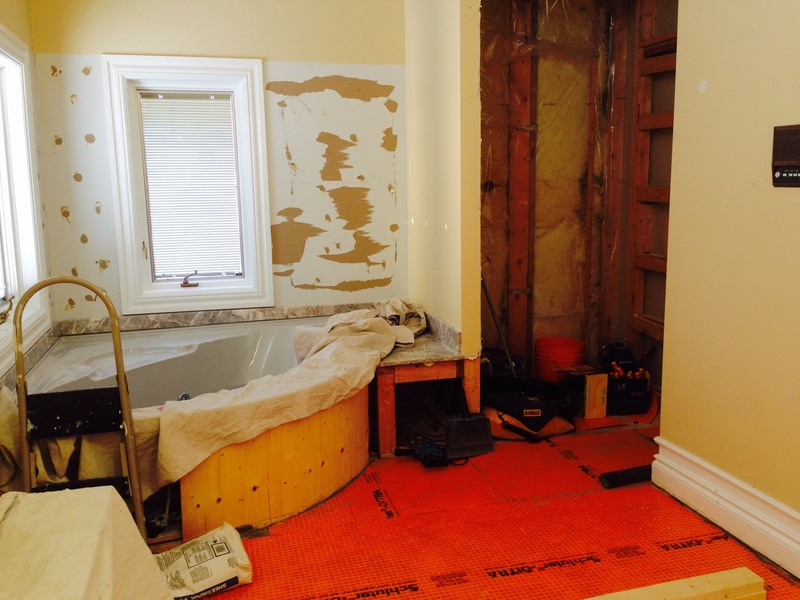 Day 2: Flooring, tub surround and shower enclosure are gone along with all of the mirrors. 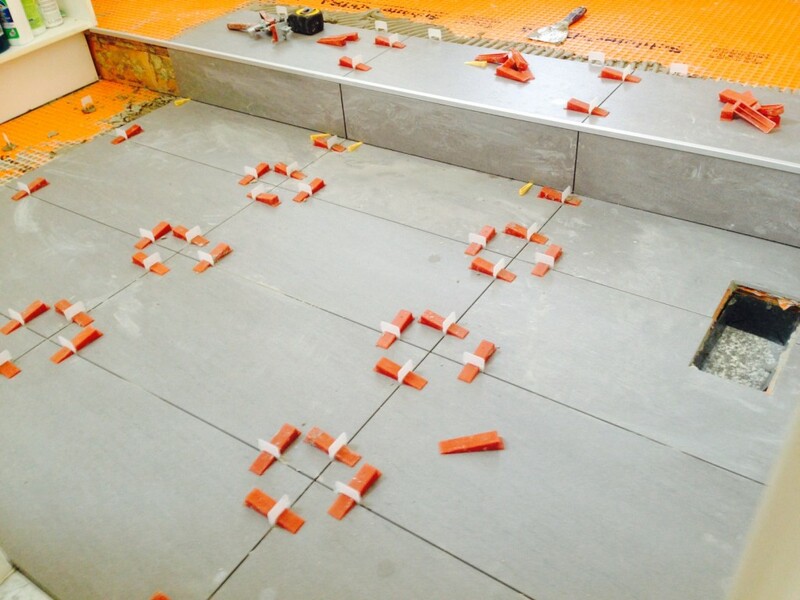 The floor has been beefed up, Schluter Ditra installed (orange stuff) and the floor is ready for tiling. Day 3: Floor tiling under way. Stonekor tiles from Centura Tile with a Quadec tile trim from Schluter for the step. Day 4: Andrew Della Penta, owner of Penta Plumbing Ltd., instaling the shower base. We always work with licensed tradespeople. 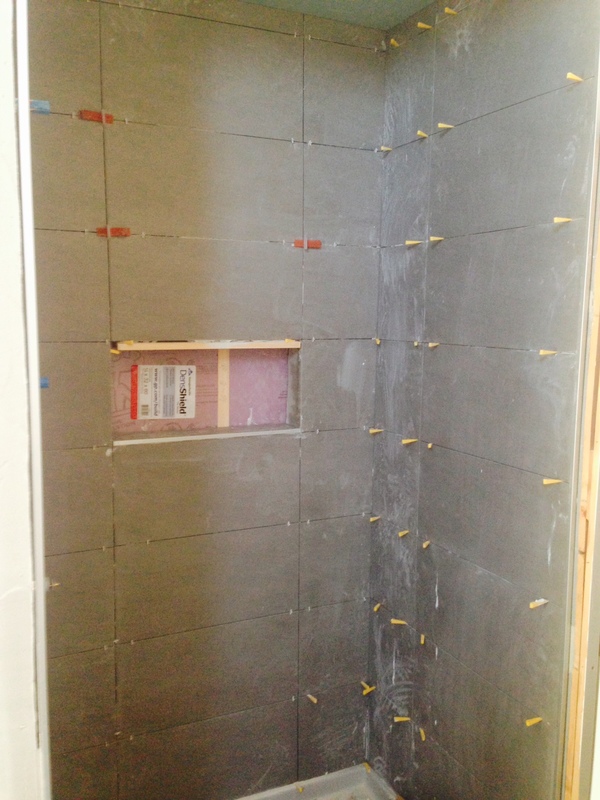 Day 6: Shower tiling almost complete. 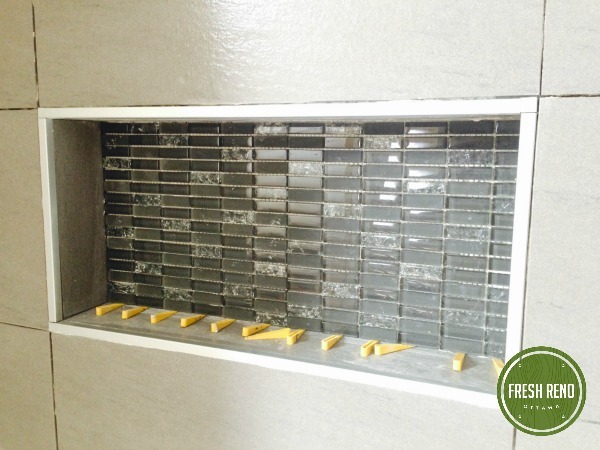 Day 7: Tile on the recessed shower shelf. Have we mentioned what a bright and sunny bathroom this is? Day 11: Floor, shower and tub surround tiles are done, and the bathroom is nearly complete. We’ll be back when the special-order grey toilet arrives. 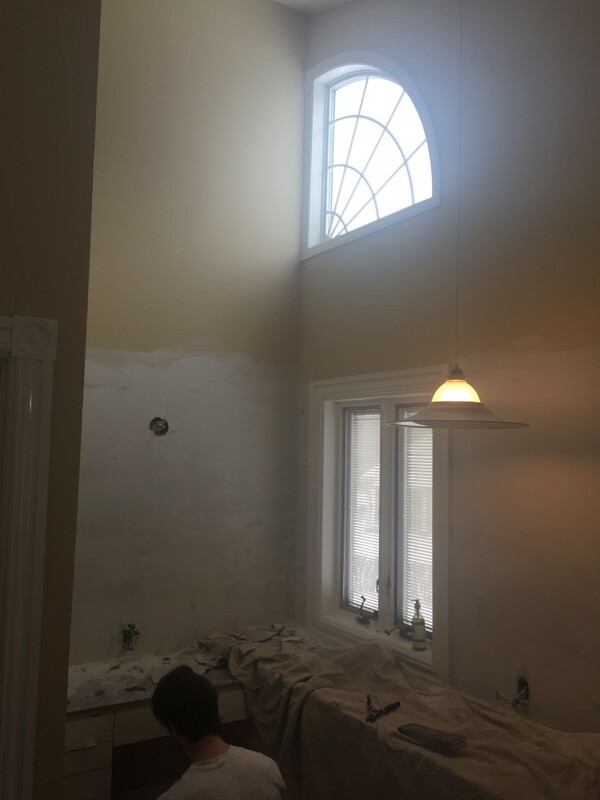 This renovation started on Thursday, January 29, 2015 and is nearly complete. The owner special-ordered a grey toilet and we’ll be back once it arrives.